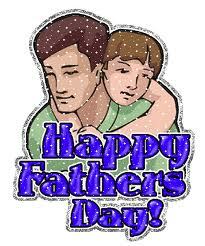 In Canada, Father's Day is celebrated with lot of enthusiasm and fanfare. Since, the tradition of celebrating Fathers Day moved to Canada from US, Fathers Day in Canada is also celebrated on third Sunday of June. Just as in US, people in Canada too wear roses to express gratitude for their father. Traditionally, if the person is wearing red rose, it symbolizes the person's father is alive. Likewise, white rose means that the person's father is no more. Children in Canada express affection and honor for their dad by presenting them cards, flowers and chocolates. In modern times, several other gifts of love including neckties, shirts, electronic gadgets, stationery items etc are also gifted to father by loving children. Another noticeable trend about Fathers Day celebration in Canada is that apart from their biological father people wish “Happy Father's Day” to their grandfathers, stepfathers, foster father, uncles or any other man who is as affectionate and loving towards them as a father.